Pocket-Size Analog Multimeter with 6 Functions. This pocket-size analog Multimeter is equipped with measurement capabilities perfect for an electrician, hobbyist, electronics technician or tinkerer, student, and home DIY’er. 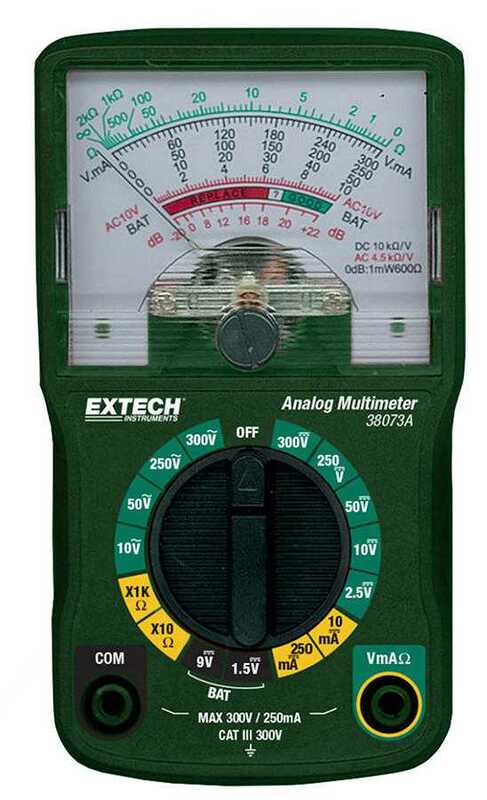 The 38073A offers 6 functions and includes test leads and an easy-to-read color coded analog display. Use this meter to perform basic troubleshooting on electrical outlets and devices that connect to outlets such as refrigerators, clothes dryers, and other appliances, as well as electronic devices found in the home, office, or garage.